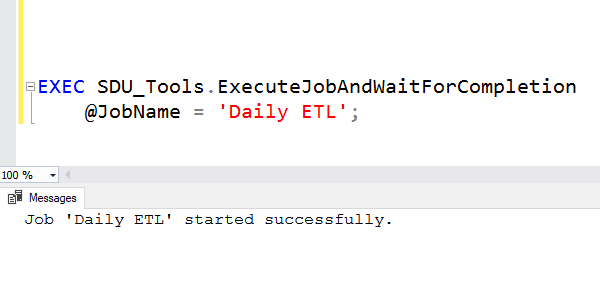 You can execute SQL Server Agent jobs from within T-SQL code. The procedure sp_start_job can do that. That's all well and good but notice that it doesn't say "execute job"; it just says "start job". 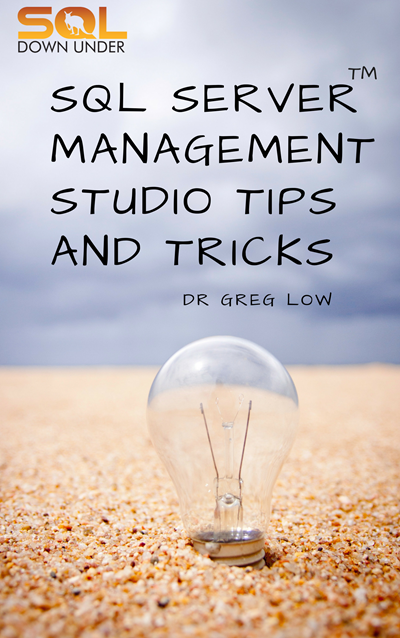 The command starts the execution of a job but has no interest in when it completes. Sometimes, you need to be able to start a job and wait for it to complete before taking a following action. 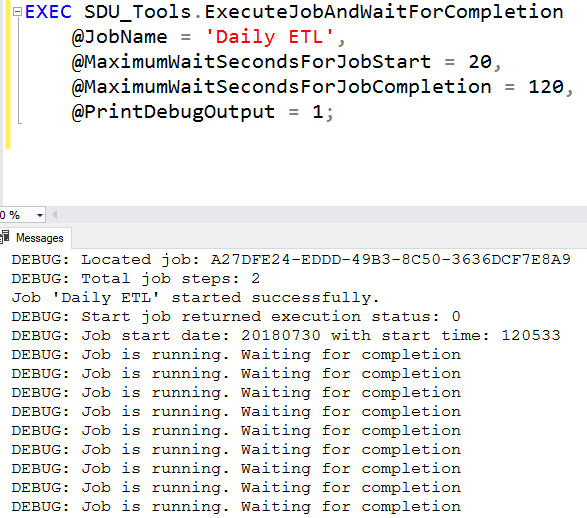 In our free SDU Tools for developers and DBAs, we added a procedure ExecuteJobAndWaitForCompletion to help with this. In the main image above, you can see its default action ie: execute a job and wait for it to complete.